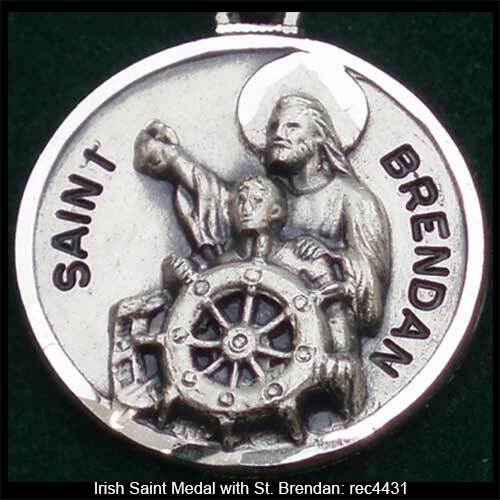 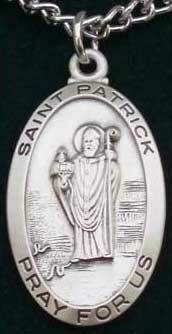 Irish saints that are depicted on these medals include St. Brigid and St. Brendan the Navigator along with St. Patrick himself, the patron saint of Ireland. 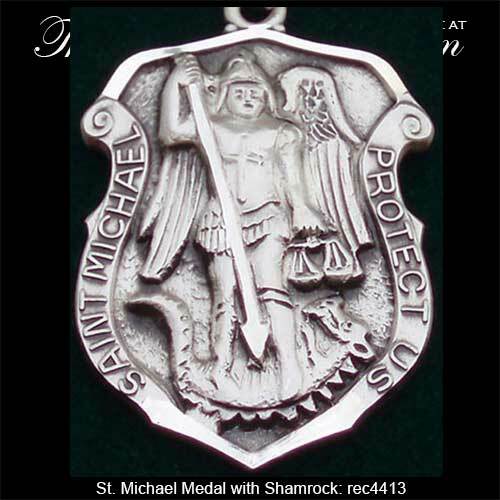 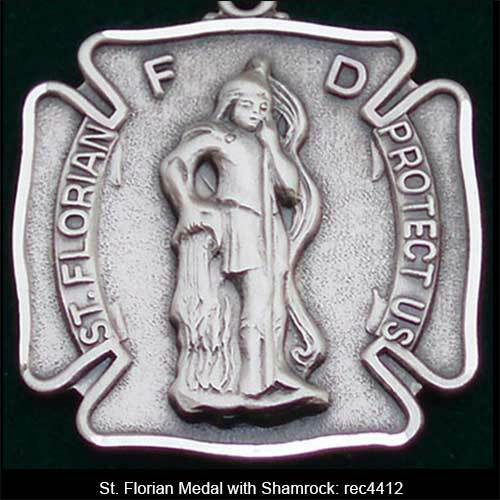 Our Irish saint necklaces include St. Michael, the patron of police officers, and St. Florian, the patron of firefighters. 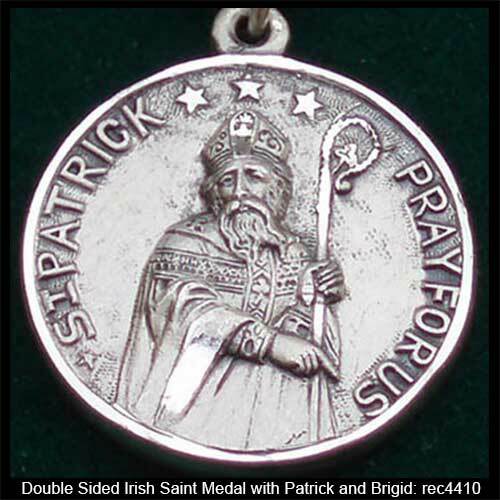 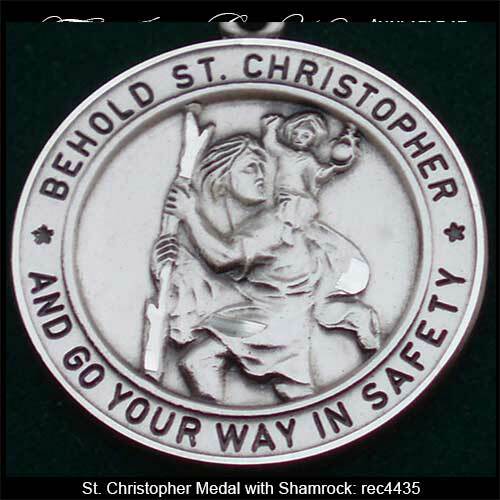 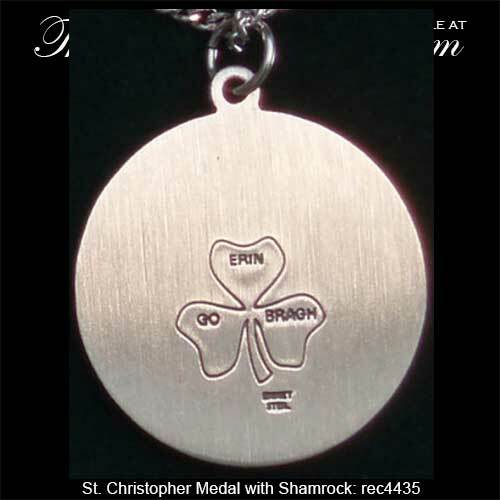 These two, along with our St. Christopher medal, feature an engraved shamrock hallmarking on the reverse side.These Irish saint medals from The Irish Gift House are sturdy designs. 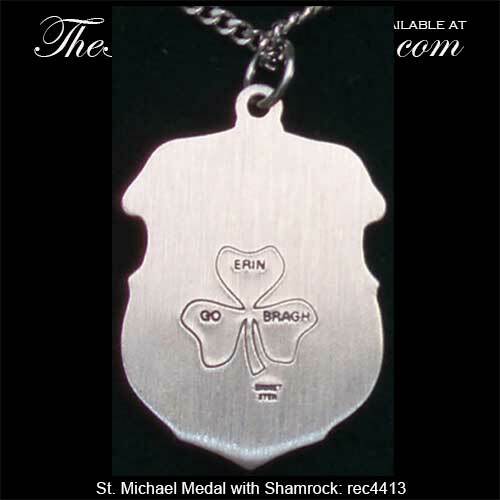 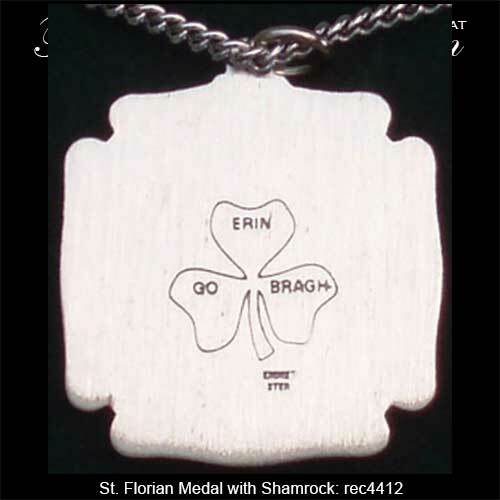 Sorry, the Irish St. Brigid medal is now sold out. 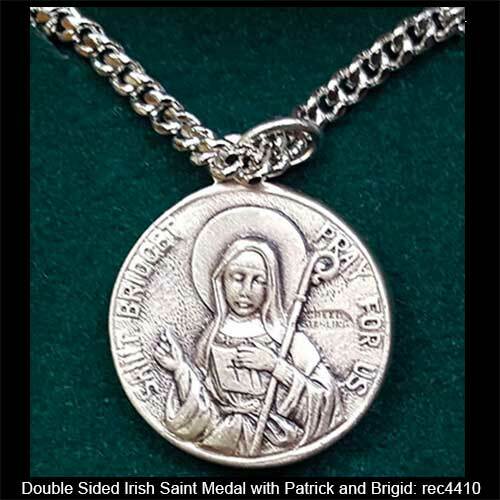 The Irish Gift House also offers a fine selection of Irish rosaries that include an assortment of those with Connemara marble beads.